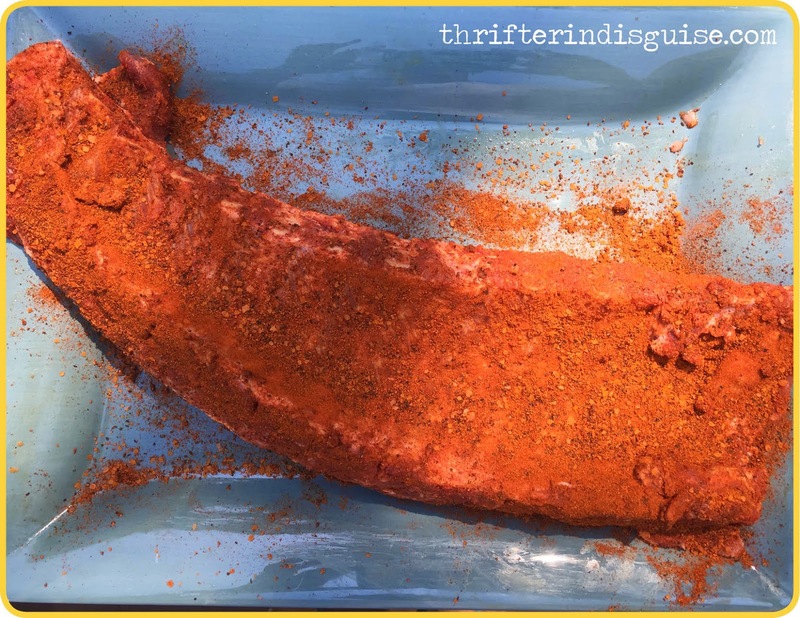 Pull off the thin membrane* from the underside of the rack of ribs. 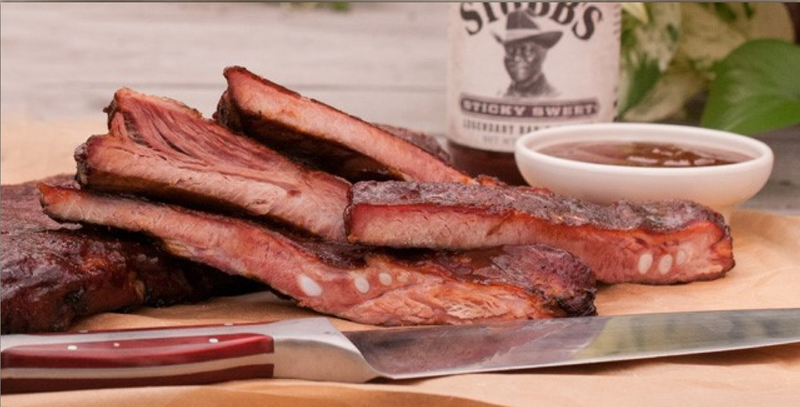 Blot each rack of ribs with a paper towel to dry. Rub the spice rub into the ribs on all sides. 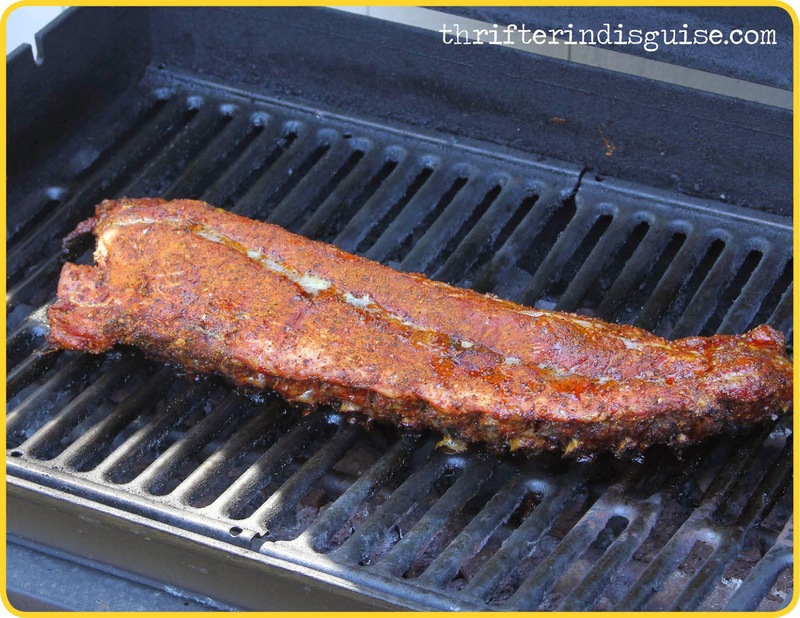 Cook the ribs bone side down with the grill lid closed, for 2.5 to 3 hours 250° degrees to an internal temperature of at least 165° degrees. Baste the ribs with the Sticky Sweet Bar-B-Q Sauce every 10 minutes during the last 30 minutes of cooking. Once completed, remove from grill; slice and serve. *Removing the membrane: We'd never done this before, but apparently when using a rub on your ribs, it's an important step. Hubby found this video useful in figuring out how to do it. Ben took some process pics to give a sense of how everything looked during the process. Here they are! I'm being completely honest when I say these were some of the best ribs I've ever had, and that sentiment was shared by everyone (or, as translated from kid-speak: "Can I have some more ribs?"). 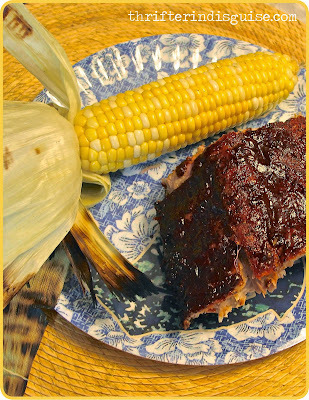 I never would have thought to combine a rub and a sauce, but the result was amazing: tasty and tender ribs that everyone loved! 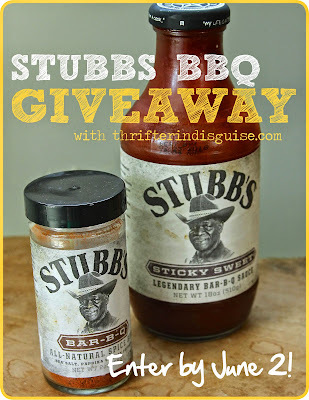 Want to win some of your own Stubbs? Enter the giveaway below (quick and easy entries)! For a juicier steak, let your meat rest for at least 10 minutes after it is done to allow all the liquid that was forced into the center of the meat when cooking to distribute throughout the steak. 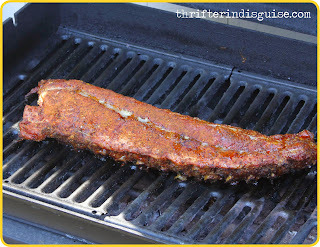 Keep different meat types separated on your grill. For example, don’t cook beef and chicken together. When marinating, beef chicken and pork can marinated up to two days in a refrigerator. You should only marinate seafood for a few hours. Clean grill after every use. Want to prepare a super-easy red, white, and blue dessert to follow your delicious Memorial Day or July 4th dishes? Here's a clever way to wow your guests without any work: Ordinary Cupcakes with a Custom Look.